With critical essays by leading scholars from Latin America, the United States, Europe, and Israel, this is the first volume devoted to Jewish filmmaking and films with Jewish themes and characters in Latin America. Jews have always played an important role in the generation of culture in Latin America, despite their relatively small numbers in the overall population. In the early days of cinema, they served as directors, producers, screenwriters, composers, and broadcasters. As Latin American societies became more religiously open in the later twentieth century, Jewish characters and themes began appearing in Latin American films and eventually achieved full inclusion. Landmark films by Jewish directors in Argentina, Mexico, and Brazil, which are home to the largest and most influential Jewish communities in Latin America, have enjoyed critical and popular acclaim. 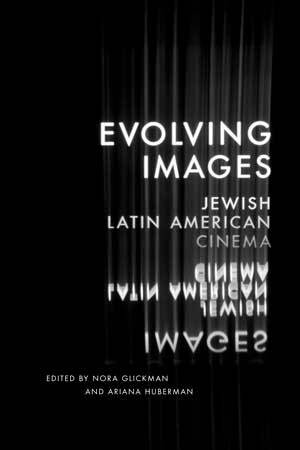 Evolving Images is the first volume devoted to Jewish Latin American cinema, with fifteen critical essays by leading scholars from Latin America, the United States, Europe, and Israel. The contributors address transnational and transcultural issues of Jewish life in Latin America, such as assimilation, integration, identity, and other aspects of life in the Diaspora. Their discussions of films with Jewish themes and characters show the rich diversity of Jewish cultures in Latin America, as well as how Jews, both real and fictional, interact among themselves and with other groups, raising the question of how much their ethnicity may be adulterated when adopting a combined identity as Jewish and Latin American. The book closes with a groundbreaking section on the affinities between Jewish themes in Hollywood and Latin American films, as well as a comprehensive filmography. Glickman is a professor of Latin American literature at Queens College and at the Graduate Center, CUNY. Huberman is an associate professor of Spanish at Haverford College.